Now that summer’s almost hair, curly haired girls everywhere know one thing: frizz is an issue. Like any hair problem, knowing how to deal with your natural texture is a huge advantage. Hot weather is not the time to fight with your hair to blow dry and heat style, ending up with a frizzy hairstyle that lasts for about 10 minutes before the humidity ruins things. Working with your natural texture in the summer is the way to go, and if you’ve got curly or wavy hair, read on. 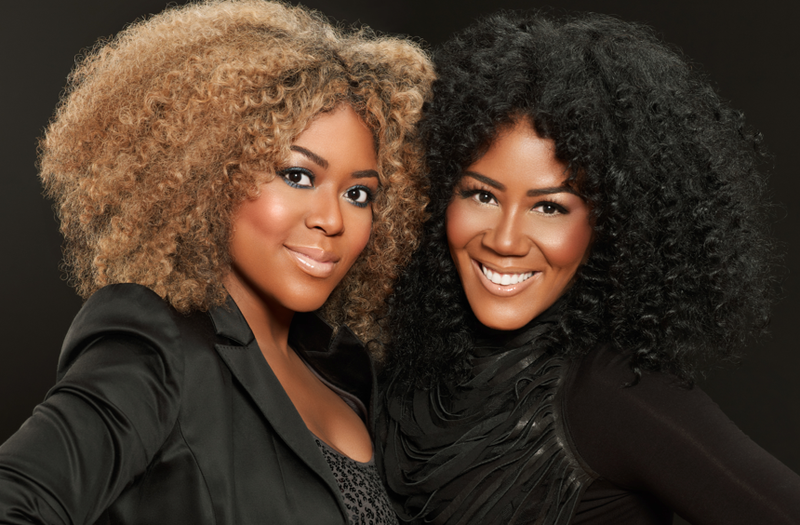 We went to the curly hair experts Titi and Miko Branch, co-founders of Miss Jessie’s Curly Hair Salon, to get the best darn tips on styling, cutting and treating curly hair. Beauty High: What kinds of products should curly haired girls be using? Miko and Titi: It all depends on the curl type. If hair is wavier or thinner, then lightweight mousses work fine. The tighter the curl, the heavier the product you should use, because you need a product with more body to tame a tighter curl. TIghter curls should use gels and creams; looser curls should use mousse and serums. How should product be applied? We’ve heard hang your head upside down, apply in sections, apply when damp, etc. but what’s the real way to apply? The best way to apply product to curly hair is when it’s damp: not wet, not dry, but damp. Damp is best because damp hair is in the optimal “frizz free state” so you want to capture your curls when hair is in that stage. When going for a haircut, what kinds of styles work best with curly textures? Longer, layered styles work best because the weight of the hair helps control the curl. Alternatively, you could go super short. In-between lengths end up looking bulky. If you’re going to have bangs, they should be on the long side as curls shrink up. The bangs should be face framing. Which hairstyles work best for curly hair in humidity? When the weather is humid, you should definitely get creative. A hair clip that moves the hair out of the face is a fun option. Or, you could twist sections off the front of the hair and pin back while letting the back hang down. Accessories are your friends! They provide cute options when you’re struggling to make curls look good during humidity. Is there a certain kind of shampoo that works best for curls as opposed to other hair textures? You should definitely use a moisturizing shampoo. Curls are inherently dry and anything you can do to fill in the cracks on the surface will translate the hair behaving favorably. Non-sulfate shampoos are a great option. What’s the proper way to use a diffuser? Diffusers serve to dry curls and pump up volume without blowing the hair around. Toss your hair forward and cup each section of hair in the diffuser gently until the section is dry. The motions should be very controlled and deliberate so as not to rough up or muss up the hair follicle. The idea is create smooth, volumized curls. When you do need to use heat styling on your hair during the summer, how can you make a blowout last in curly hair? Remember – the hot tool you’re using should be set to a temperature that’s hot enough to convert the curl to straight so that it stays straight. Otherwise, you want to avoid humidity at all costs. When you shower, it’s important to wrap up your blowout so that it’s not exposed to steam in any way. We recommend using an anti-humidity mist. And rain, rain stay away!